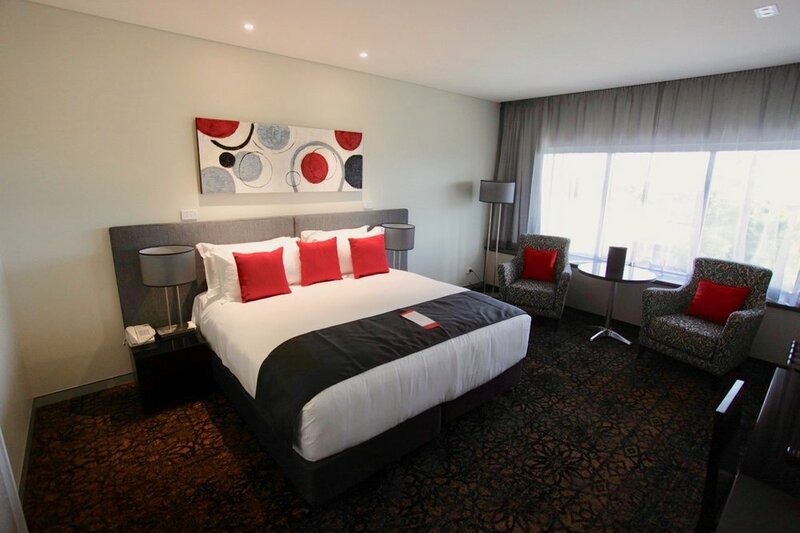 Craig W Chandler Architects designed and project managed the 8-storey 60 room motel to integrate with the existing Hotel & restaurant, in the fast-growing South Brisbane suburb. The Motel has become an iconic building for Calamvale, and is both a meeting point and 'way-finding' landmark for locals and visitors alike. 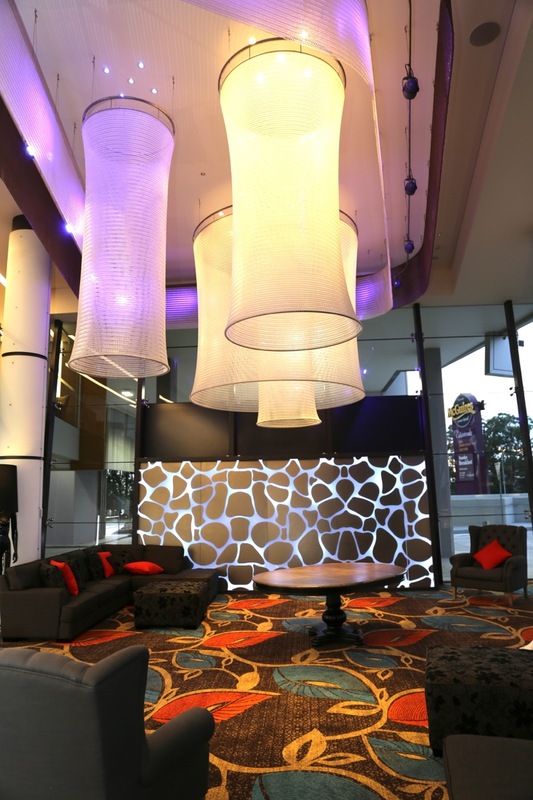 The entrance foyer, with feature chandeliers and a mezzanine function level, connects visitors to the suite levels and gives access to the roof terrace function rooms. The ground floor also features the reception, staff room, and administration spaces. The underground carpark holds up to 60 cars, and connects directly via lifts to the main foyer, the function spaces and motel suites. 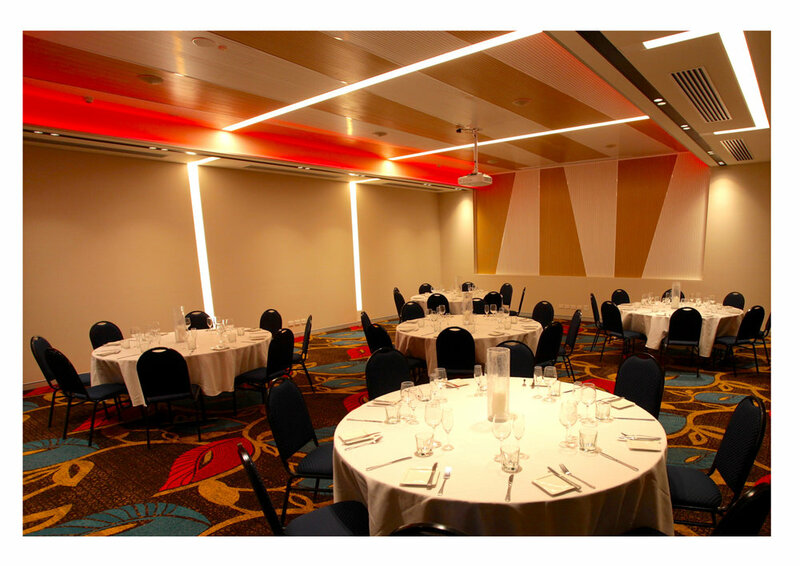 All of the function facilities are designed for full flexibility. They have the ability to cater for varying event sizes by using operable wall panels that custom tailor the spaces. Each of the suites are generously in size, with special attention given to guest comfort and experience. Excellent acoustic treatment ensures guests are never impacted by noise from the function rooms above or the major roads bordering the site.